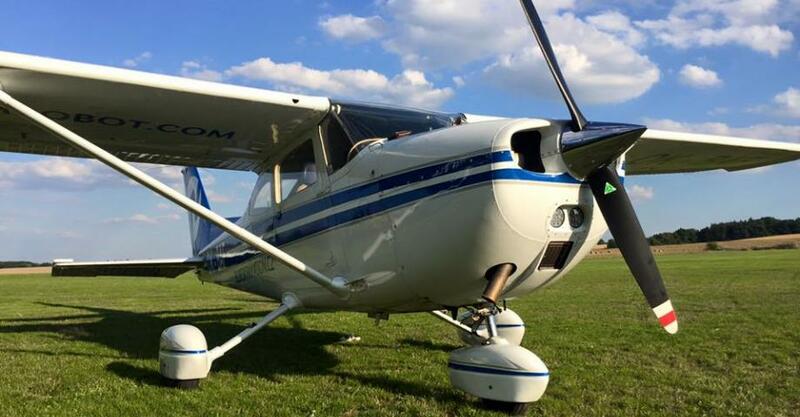 Enjoy Prague sightseeing during a scenic flight with a Cessna airplane with an itinerary according to your choice. See Prague from bird’s perspective with its red rooftops and the Vltava river with its many bridges. 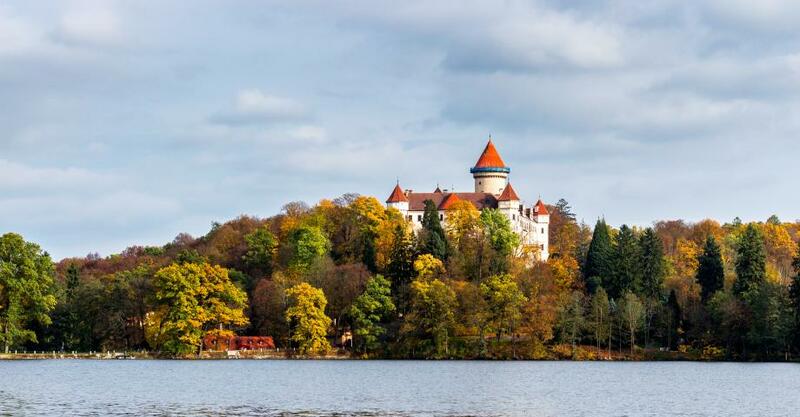 The sightseeing flight over the eastern part of Prague and the outskirts of the city offers beautiful sights including the historical chateau Konopiště with its vast gardens and forested hunting area with wild animals. 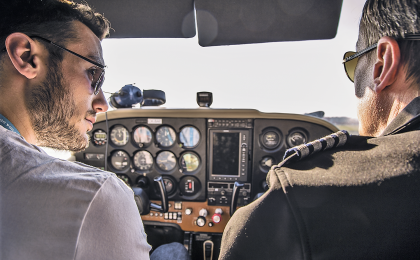 Choose the flight’s route above the Slapy dam or the Kbely military airport with modern as well as historical aircrafts. Fly over the game reserve in Milovicko to conclude your scenic tour with watching bisons and wild horses. The flight for 1 to 5 persons lasts 30 minutes. However save at least 60 minutes for the experience in total. 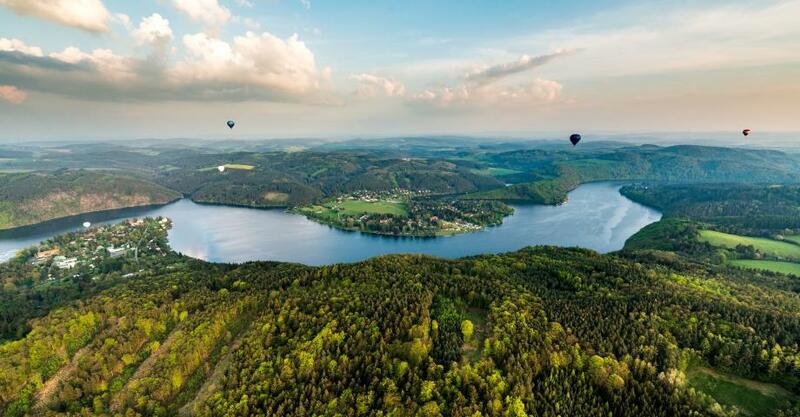 You can enjoy the sightseeing flight all year-round. 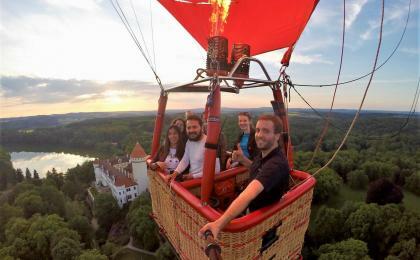 See Prague and its sights from birds´ perspective! Not any suitable option for you? 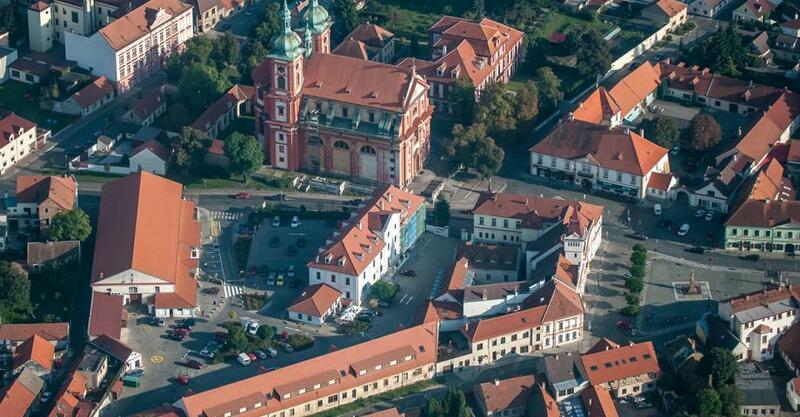 Sightseeing flight for those who love the city of Prague. Prague and its surrounding according to your wish. 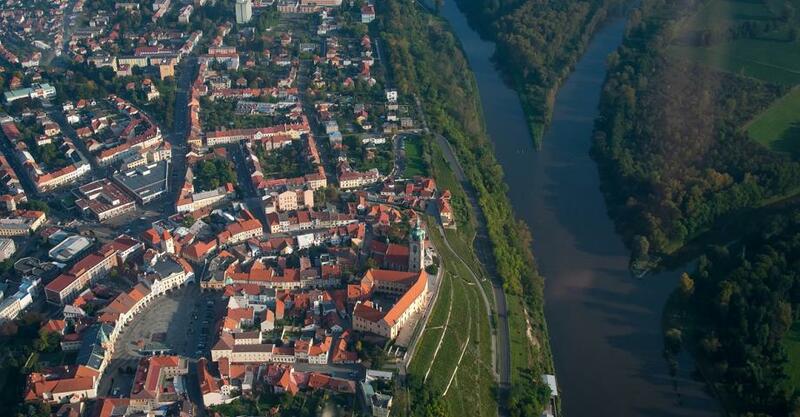 You can fly over the eastern part of Prague and see some areas outside of Prague. Unfortunately, flight over the Old Town is prohibited for small aircrafts. After a short briefing and commentary on the flight, you can choose the route in advance. You can take photos and shoot videos during the flight. 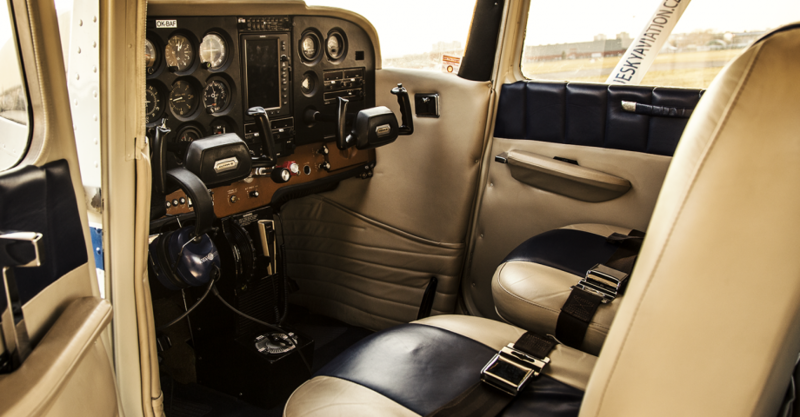 You will fly in the Cessna 172M OK-BAF aircraft. Points of interest: right after the take-off, you can see the Kbely military airfield, where are both modern and old military aircrafts. The Cukrák television tower, the confluence of Berounka and Vltava rivers, Slapy dam, the confluence of the Elbe and Vltava rivers, Mělník region, Konopiště chateau. Sightseeing flights are designed for children and adults. Children 4-15 years must be accompanied by an adult. The minimal height is 120 cm. We can fly in all weather conditions. We only cancel the flight in hostile weather conditions - extremely cold weather, low clouds, intense rainfall, strong wind and severe storms. Flight duration: 30 min. Entire activity, including pre-flight preparations, airplane check and the flight itself, is approximately 1 hour. This activity is designed for a group of 1-3 persons. The spectators can wait in the airport hall. Alternatively, they can buy a ticket on the spot for a sightseeing flight, if available. There is no specific clothing requirement. In cold weather, it is necessary to dress warmly. On days with intense sunlight, we strongly advise wearing sunglasses. Prague Letnany Airport is close to PVA EXPO Prague (Výstaviště Leťnany Praha). Take Mladoboleslavská street then turn into Hůlkova street and follow a white sign “LETŇANY”. You can park your car for free at the airport, and for our clients we have a spot at a guarded parking lot. For details please see Google maps. Letnany Airport is located 5 minutes walking distance from a metro station Letňany – C line (red). Follow signs to BUS STOPS - direction to Letňany. When you reach the bus stops keep going on the sidewalk and on the right side you will see the airport. There is a road by the airport fence. A good orientation point is the airport tower which is by hangars. For details please see Google maps. Active Prague s.r.o (address Korunni 108, Prague) as the administrator of this website stores first- and third-party cookies that are necessary for the site usage, analytical purposes and our marketing efforts. Click here for more information on our Cookies Policy.